Korea’s home-grown IMM Private Equity has attained Linde Korea, local unit of world’s leading supplier of industrial and specialty gases Linde Group, after defeating others in a heated race. According to industry sources on Thursday, IMM PE has signed a stock purchase agreement worth 1.3 trillion won ($1.1 billion won) with Germany-based Linde Group to take over entire 100 percent stake in Linde Korea. The purchase will exclude Linde Korea’s specialty gas division SG Korea, which is to be spun off. The deal will be closed by the end of April. 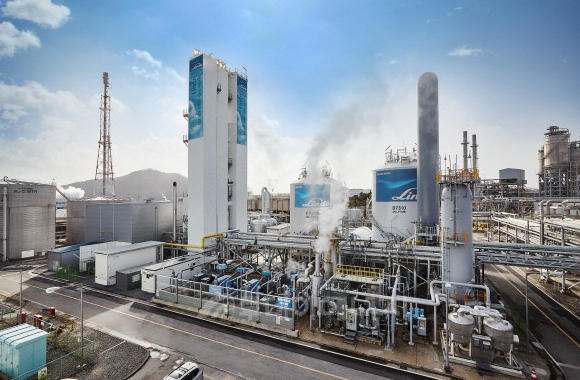 Linde Korea supplies industrial and specialty gas to companies in various industrial fields including semiconductor, petrochemical, and steel making. It has offices in Giheung, Seosan, and Pohang where its major clients are based. IMM PE had pitted against Macquarie Korea Opportunities Management and French industrial gas supplier Air Liquide over Linde Korea after the company was placed up for sale to comply with Korea’s fair trade law. In 2016, world’s No. 2 gas supplier Linde Group took over No. 3 player Praxair. To secure fair trade in Korean gas supplier market, the Fair Trade Commission ordered Linde Korea to sell its entire assets related to the on-site or bulk supply of oxygen, nitrogen and argon gases in the country. The private equity fund operator is expected to pay for the purchase with a fund that it recently created with an aim to raise total 1.8 trillion won. It reportedly is preparing to hunt for other players in gas supplier market.